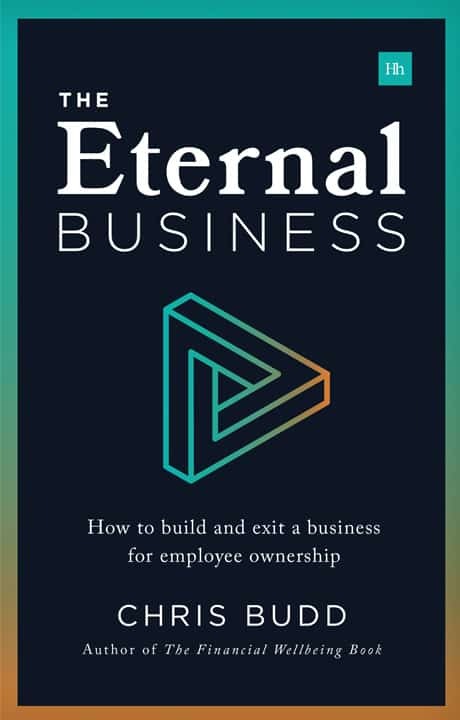 The Eternal Business book was written to help spread the word about employee ownership. For the owner who has spent a big chunk of their working life building up a business they passionately believe in, and nurturing staff they care about, traditional succession planning doesn’t work. Employee ownership is the new and better way of preserving your achievement. Done the right way, you can release value, preserve your legacy and pass on control without employees having to raise finance. Financial expert, podcaster and author Chris Budd recently sold his own business to its employees through the UK’s Employee Ownership Trust. But the movement for employee ownership is global – and interest in this alternative succession route is growing fast. Employee ownership is about more than the ownership, however. It is about creating sustainable businesses. A focus on long-term sustainable profits; happy customers; happy employees. The Eternal Business lays out that system for businesses no matter where in the world they are based. It shows how to get a business – and its employees – ready for this transition. And a model and pathway to follow so that it continues, maybe forever! The Eternal Business book lays out that system for businesses no matter where in the world they are based. It shows how to get a business – and its employees – ready for to transition to employee ownership. The book provides a model and pathway to follow so that the business continues after transition – maybe forever! If you would like to chat, please complete the form and we will call you back. The Eternal Business is a wholly owned subsidiary of Ovation Finance Ltd. Registered Office: The Eternal Business Consultancy, Queen Square House, 18-21 Queen Square, Bristol, United Kingdom, BS1 4NH.